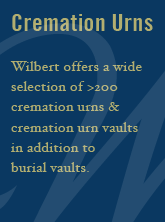 A range of memorialization and cemetery enrichment products are offered by Bell Vault and Monument. These products are fabricated by skilled craftsmen using the highest quality granite. They are made to be ready to install. The extensive selection of ready-to-install products includes personal and community columbarium, private mausoleums, urn pedestals, statuary and benches. Many products can be fabricated in two colors, creating striking memorials that can be integrated into any cemetery grounds. Please contact Leila Rike at Bell Vault and Monument to discuss the best memorialization cemetery enrichment product. Our design staff is able to assist in creating beautiful, effective solutions for undeveloped property. Provide us with details and goals of your property development, such as: area to be used, acreage, accessibility, size of niche spaces. We will prepare a proposal with costs and artist’s renderings. The columbarium can be combined with benches, statuary and landscaping to meet your specific needs.